Stavroula Thoma is a Cypriot concert pianist who has performed as a soloist and chamber musician in the UK, Cyprus, Greece and Hungary. She gave her concerto debut in May 2014 with Cyprus Symphony Orchestra, as part of the CYSO ‘Young Soloists First Step’ series and performed the Bach D minor Piano Concerto with conductor Roland Melia. In December 2014, she performed the Mozart D minor Concerto with Birmingham Conservatoire Repertoire Orchestra and conductor Daniele Rosina. She has studied with John Twhaites and Margaret Fingerhut at Birmingham Conservatoire. Her past teachers include András Kemenes and István Gulyás – Liszt Academy of Music, James Kirby- Royal Holloway, University of London and Eva Georgiou – Conservatoire of Classical Studies, Cyprus. She has participated in masterclasses with internationally renowned pianists such as Orsolya Szabó, Imre Rohmannn, Malcolm Bilson (fortepiano), Idil Biret, Jean Efflam Bavouzet, Peter Donohoe and Martino Tirimo. At the age of 11, Stavroula won the second prize in the Evaggelia Tziarri International Piano competition. During her undergraduate studies at Royal Holloway University of London, Stavroula was a scholar of Georgiou and Maria Tirimou’s foundation. She was awarded the Marzorie Huzlehurst Piano award and was also a Joseph Weingarten scholar at the Liszt Academy of Music in 2012-14. In 2016 Stavroula completed her Advanced Postgraduate Diploma in Professional Performance with Distinction. See Stavroula at UCH Macmillan Cancer Centre on Wednesday 2nd November 2016. Robert Cheung began learning the piano at the age of 9 and it became his passion when he was accepted into the Royal College of Music Junior Department at the age of 12. A year later he was also offered a place at the Royal Academy of Music Junior Department as well as a full scholarship to the Purcell School of Music but made the decision to continue his piano studies with Dr Nigel Wilkinson. In 2013 Robert was awarded an ABRSM medal for exceptional grade 8 score and nominated for the prestigious Emanuel piano trophy in both 2015 and 2016. Over the last year he has given numerous solo recitals and as the winner of RSO’s 2014 Young Musician competition, performed his first Concerto (Rachmaninov 2) with Reading Symphony Orchestra in early 2015. In the 2014 Nationwide Rotary Young Musician competition sponsored by Harrods, Robert competed against the best young instrumentalists across the British Isles and was named overall winner of the instrumental section, performing music by Liszt and Copland. In 2014 Robert was also awarded a distinction for his ABRSM piano diploma with an outstanding score of 55 out of 60 for performance. Robert is also a keen actor and his TV credits include a guest lead role in BBC Casualty (Jake Coulson) and BBC Outnumbered (Greyson.) As a Concordia Artist, Robert has performed at the National Portrait Gallery, and at Chelsea & Westminster Hospital, West Middlesex University Hospital and UCH Macmillan Cancer Centre as part of Concordia's Healing Power of Music programme. Robert is also a participant on this year's Memory Lane programme. John Paul Ekins, in great demand as a recitalist, concerto soloist and chamber musician, has given performances throughout the UK and overseas in the Czech Republic, France, Germany, Italy, Kuwait, Norway, Poland, Romania, Spain and Switzerland. He has been broadcast on the BBC, on Romanian national television and radio, and on Polish television. In 2009 he graduated from the Royal College of Music with First Class Honours, and was awarded the James Anthony Horne Scholarship by the Guildhall School of Music & Drama to study with Charles Owen, graduating with Master of Performance (Distinction) in 2011. He has received support from Making Music, The Musicians Benevolent Fund, The Concordia Foundation, The Razumovsky Trust and The Keyboard Charitable Trust. International Competition successes include as many as 19 awards and prizes, and performances have taken him to prestigious venues such as Bucharest’s Athenaeum, Zurich’s Tonhalle, Prague’s Martinu Hall, London’s Wigmore Hall, Royal Albert Hall (where he made his concerto debut in 2013), Queen Elizabeth Hall, Purcell Room, St. Martin-in-the-Fields, Fairfield Hall and Steinway Hall, Birmingham’s Symphony Hall. John Paul has been particularly honoured to be presented to Her Majesty The Queen and His Royal Highness The Prince Philip at a Reception for Young Performers at Buckingham Palace. Peter Foggitt is a composer, pianist, organist and conductor. He is the recipient of numerous prizes, including the MBF Accompanist’s Prize at the 2013 Kathleen Ferrier Awards, the Pianists’ Prize at the Emmy Destinn Awards and First Prize at the Croydon Concerto Competition. His first orchestral work was performed in 1996; he made his piano concerto debut at fourteen; in 2006, whilst a finalist at Cambridge, he recorded Rachmaninov’s third piano concerto for BBC Radio 3. Peter undertook postgraduate study in singing, piano and improvisation at Trinity College of Music; he studied for his MMus at the Guildhall School with Martin Roscoe and Eugene Asti. Peter directs the award-winning vocal ensemble Cries of London, and in the 2012-2014 seasons was a guest Chorus Master at the Royal Opera, Copenhagen, and for Polish National Opera. As a solo and ensemble pianist, Peter’s planned concerts this season include performances with Trio Ischl, concertos with Sevenoaks Symphony Orchestra, the Blackburn Symphony Orchestra and the 1885 Players, and solo recitals including Bach’s Goldberg Variations. Jocelyn Freeman has been described as "outstanding", "brilliant" and "One to Watch" by International Piano Magazine. Originally from Pembrokeshire, Jocelyn’s engagements have led her to four continents, collaborating with highly-regarded musicians, and releasing her debut album in 2013 with Kissan Records. Jocelyn was awarded a Junior Fellowship at the Royal College of Music in 2012 and is much in demand as a duo partner. She gained the DipRAM on graduating from the Royal Academy of Music. Competition successes include Gold at the Marlow International Concerto Competition. Recitals have taken Jocelyn to the Wigmore Hall, the Caribbean, Singapore, Cyprus, France and Denmark. She has performed on BBC and Sky television and has performed concerti at the Aberystwyth Great Hall and St David's Cathedral. Jocelyn is often engaged as an accompanist at conservatories, major competitions and summer schools, including Dartington International Summer School, BBC Young Musician of the Year and the Wigmore Hall International Song Competition. Jocelyn is a Concordia Foundation Artist, and participated in their Memory Lane Training Programme 2014/15, in partnership with Chelsea and Westminster Hospital and the Royal College of Music. Juliane Gallant holds a Professional Studies Diploma from the Conservatoire de musique et d’art dramatique de Montréal and a Masters of Music from the University of Ottawa. She studied song accompaniment with Dalton Baldwin at the Nice Summer Music Academy, as well as with Olivier Godin at the Orford Arts Center (Canada). More recently, she took part in the Oxford Lieder Festival master course week, where she studied with Roger Vignoles. Juliane has also worked as opera repetiteur at the Université de Moncton (The Turn of the Screw, Cosi fan Tutte) and the University of Ottawa (Carmen, Le Nozze di Figaro). Her enthusiasm for contemporary music led her to work regularly with soprano Jane Manning. Recent performances include a recital of Chabrier songs at the Barbican Hall, an homage to Jean Cocteau, Francis Poulenc and Edith Piaf at the St James Theatre and a performance in the Purcell Room on the final week of The Rest is Noise festival. Juliane’s studies are funded by the Worshipful Company of Salters as well as the Leverhulme Trust. She is currently studying piano accompaniment with Pamela Lidiard at the Guildhall School of Music and Drama. Juliane has been a regular accompanist for Concordia Foundation recitals since 2014, and has recently participated in Concordia’s Memory Lane programme, bringing music to patients in the elderly wards of Chelsea and Westminster Hospital. Fiachra Garvey graduated from the Royal Academy of Music, London in 2013 with 1st class honours and distinction in the MA in Music Performance. This follows a 1st class honours B.A. in Music Performance from the Royal Irish Academy of Music in September 2011 and a 1st class honours DipMus (performance and teaching) from the RIAM in 2008. In May 2009, Fiachra was the top Irish prizewinner at the AXA Dublin International Piano Competition, being awarded the Brennan Prize and the McCullough Bursary. Following his success in the AXA Dublin International Piano Competition, Fiachra represented Ireland at the first EU Piano Competition Prague, and on reaching the final, made his concerto debut with the Janáček Philharmonic, performing Rachmaninoff’s Rhapsody on a Theme of Paganini. In June 2010 Fiachra received the Audience Prize at the 3rd Soirees-Concours Internationales de Piano a Collioure, France. Recently awarded the “Rising Star” award by the National Concert Hall, Fiachra gave his debut main auditorium recital in the NCH in Jan 2011. March 2011 saw Fiachra’s debut concerto performance at the National Concert Hall, where he performed Prokofiev’s 3rd piano concerto with the RIAM Symphony Orchestra, to great acclaim. In May 2011, Fiachra performed Gershwin’s Rhapsody in Blue with the RTE Concert Orchestra at the NCH, under conductor John Wilson. Recent recitals include performances of Tchaikovsky’s piano concerto no 1 with the RTE National Symphony Orchestra and UCD Symphony Orchestra, Grieg piano concerto with the Hibernian Orchestra, a series of solo and two piano recitals in Japan, duo recitals at St. John’s Smith Square, St. Martin in the Fields, and the Brighton Festival; and piano trio recitals at the West Cork Chamber Music Festival. Fiachra was awarded 1st prize at the 2012 Jaques Samuel Competition, London which resulted in his Fazioli Auditorium and Wigmore Hall debuts in 2013. Ben-San Lau was born in Manchester. He was an organ scholar at King’s College, Cambridge, graduating with a first-class degree with distinction in Music. He went on to study at the Guildhall School of Music and Drama, where he completed a master’s degree in piano accompaniment with distinction and is currently training as a répétiteur on the Guildhall opera course. His teachers are Caroline Palmer and Eugene Asti. He was selected by Graham Johnson to perform in the 2013 Song Guild concert of Schubert Lieder at LSO St Luke’s, and he has collaborated on song projects with Iain Burnside, and in masterclasses with Malcolm Martineau and Roger Vignoles. Recent performances include recitals at the Barbican Centre, the Wigmore Hall, the Oxford Lieder Festival, and the City of London Festival. As a répétiteur he has worked for British Youth Opera and Riverside Opera, and he participated in the 2014 Solti Peretti Répétiteur’s Masterclasses working with Richard Bonynge. He will be a trainee at the National Opera Studio 2015-2016. His studies at Guildhall are generously supported by the Leverhulme Trust. Maria Marchant, award winning British pianist, is much in demand as recitalist, concerto soloist and chamber musician since giving her Wigmore and Southbank debuts to critical acclaim. After gaining the Silver Medal for Piano Performance at Trinity College of Music, Maria graduated from the MMus in Advanced Piano Performance at the Royal College of Music when she was awarded Gold Medal and First Prize in the International Hindemith Competition, Berlin with her study funded by the BBC Performing Arts Fund. She performs regularly in prestigious venues around the UK and abroad and has performed for numerous festivals, music societies and Radio 3 broadcasts. Recent concerto appearances include concerts with the Bernardi Chamber Ensemble and European Union Chamber Orchestra. Maria is a passionate advocate of British music and is pianist-in-residence at the Shipley Arts Festival. She has performed for Concordia Foundation at prestigious venues in Monte Carlo and in London, and is delighted to represent the Concordia Foundation as resident pianist in Memory Lane, a project providing music for stroke and dementia patients which takes place at Chelsea & Westminster Hospital. Asagi Nakata was born in 1995 in Japan but moved to London within a year where she has been situated since. She currently attends the Royal Academy of Music studying with Tatiana Sarkissova. Asagi is proud to be a Scholar of the Drake Calleja Trust. From a young age Asagi has had successes in international competitions winning First Prizes at the EPTA Belgian International Competition and at the 2nd International Franz Liszt Competition. She was also awarded Fourth prize in the Ettlingen International piano competition and won First Prize, as well as the Audience Prize at the Beethoven Piano Society of Europe Junior Intercollegiate Piano Competition. Receiving Third Prize in the James Mottram International Piano Competition, Asagi made her concerto debut with the Southbank Sinfonia performing Mozart’s Concerto in A K.488 at the age of 12. She has also been the recipient of the Emmanuel Piano Trophy and First Prize in the Marlow International Concerto Competition. Her more recent successes include being awarded 2nd Prize at the Windsor International Piano Competition and being the youngest semi-finalist at the 3rd Sussex International Piano Competition. She was also a prize winner in the Sterndale Bennett piano competition at the Royal Academy of Music. Asagi has performed as a soloist at major venues across the UK including the Wigmore Hall, Bishopsgate Institute, the Bluthner Piano Centre, St Barnabus Ealing, St. James Piccadilly, and the Cadogan Hall. She has also given numerous concerts abroad making her Prague debut in the Dvorak Hall performing the Grieg Piano Concerto with the Chamber Philharmonic Orchestra of South Bohemia and has given concerts across Japan and the Netherlands, as well as in Germany in the presence of the celebrated pianist, Alfred Brendel. She was also invited as guest performer at the 64th International Chopin piano festival in Poland. Stephanie Onggowinoto, Indonesian pianist, is currently in her final year of Bachelor of Music studies at the Royal College of Music in London as a Neville Wathen Scholar. Her teachers have included Leon McCawley and Christopher Elton. Stephanie’s competition successes include prizes at the Ettlingen International Piano Competition for Young Pianists (where she was the first Indonesian ever to receive a prize since its first edition), Appelbe Piano Prize Competition London, Asean International Chopin Competition, Asia International Piano Festival and Asean International Concerto Competition. In addition to claiming prizes in competitions, Stephanie has also participated in festivals at the Universität Mozarteum Austria, Yong Siew Toh Conservatory of Music Singapore and Adam Gyorgy Castle Academy in Hungary where she has been a full scholarship-recipient for the past six years. Stephanie has been invited to perform as a soloist with Indonesia’s prominent orchestras, such as the Jakarta Chamber Orchestra, Pro Arte Chamber Orchestra, Surabaya Symphony Orchestra, National Symphony Orchestra of Indonesia and Jakarta Conservatory Orchestra. Aside from actively performing within the UK and in various cities in Indonesia, Stephanie’s performances have also been heard across the globe, recently in Hungary, the Netherlands and Thailand. In 2015, Stephanie was awarded the first Adam Gyorgy Award by the Steinway Artist himself, which gives her a New York debut at Carnegie Hall next year. Stephanie has been named as a Concordia Artist since Spring 2015 and gave her debut recital representing the Foundation in May 2015 at St-Martin-in-the-Fields, which was favorably received by the audience. Giulio Potenza was born in Palermo, Italy, in 1990, andstarted his piano lessons at the age of six with Roberto Giordano. He entered the Conservatory of Trapani in 2000, where he received his Piano Diploma with the highest ranking under the tutelage of Walter Roccaro. He studied at the Imola Piano Academy with Franco Scala, in Milan with Bruno Canino and at the International Piano Academy of Sesto Fiorentino with Gabriele Baldocci. He is considered by Martha Argerich to be “a very gifted and deep pianist.” In the past years Giulio has attended master classes and lessons held by pianists such as Andrzej Jasiński Martino Tirimo, Barry Snyder and Andrei Gavrilov. Winner of the Hanna Brooke Prize in Piano from the Trinity Laban Conservatory, he also won prizes at several important piano competitions including 1st prize 3° International piano competition "Premio Seiler" of Palermo (2002),1st prize 4° International piano competition "Mozart Prize" of Mazzara del Vallo (2009) and 1st prize 18° International piano competition "G. Campochiaro" of Pedara (2009). Giulio has performed as a soloist at venues including Steinway Hall of London, St. Martin in the Fields, Conway Hall, Regent Hall, Schulmann Auditorium of Oxford, the Italian Cultural Institute of London, as well as the“Schubert Festival” of London. Giulio holds a Post Graduate Diploma and a Postgraduate Artist Diploma at Trinity Laban Conservatory of Music and Dance with Distinction, and is currently studying for the ISP Advance course at Trinity supported by the “Alfred Kitchin”, the “Jacqueline Williams” and the “Trinity College Trust” scholarship. He is Professor of Piano at the Windsor Piano School and Artistic Director of the Windsor International Piano Competition. Giulio gave his first recital for Concordia at St James's Church Piccadilly in December 2015. Lucia Sanchez de Haro, born in Spain, began her musical training aged seven. In 2007, she moved to San Sebastián to work with pianist Ricardo Requejo at the Higher School of Music ‘Musikene’, where she obtained the Higher Diploma in Music. At the same time, she specialised in chamber music with Irini Gaitani. In 2012, she moved to London to pursue a postgraduate degree. In October 2014, she graduated with a Master of Performance (piano) from the Guidhall School of Music & Drama, where she studied with teachers Peter Bithell and Noriko Ogawa with the support of the Guildhall School Trust and the Leverhulme Trust. She has performed in Spain, Switzerland and United Kingdom at venues including Wigmore Hall, Southwark Cathedral and Milton Court Concert Hall, Sala BBK and Niemeyer Centre. She has developed her music career as a soloist as well as chamber musician. Therefore, she has collaborated with different instrumentalists and she works regularly with violinist Tomer Marcus. She has also explored the music theatre world working with Theatre Alibi and has collaborated as a répétiteur with Bloomsbury Opera. Lucía is a participant on the Memory Lane Training Programme 2015/16, in partnership with Chelsea & Westminster Hospital and the Royal College of Music. James Sherlock, one of the most versatile musicians of his generation, performs widely as a pianist and conductor. In January this year he made his debut at Carnegie Hall, and throughout 2014 makes several return appearances to the Wigmore and Barbican Halls, alongside appearances at festivals in the City of London, BBC Proms, Edinburgh, Leeds International and Oxford Lieder. James studied at Trinity College Cambridge, the Guildhall School of Music, the Georg Solti Accademia and the Franz Schubert Institut. His teachers have included Joan Havill, Ronan O’Hora, Graham Johnson and Pamela Lidiard. He has performed as a soloist with the London Symphony and English Chamber Orchestras. As a chamber musician and accompanist he has collaborated with Angelika Kirschlager, Sarah Connolly and Benjamin Appl, and made numerous recordings with ensembles including Tenebrae, the English Chamber, London Symphony and Philharmonic Orchestras. He is a winner of the Royal Overseas League Piano Competition, BBC Fame Academy (now BBC Performing Arts Trust), Award for Young Concert Artists (Making Music) and Gold Medallist at the Marcello Galanti International Organ Competition, and his recordings have won awards from Gramophone, BBC Music and International Piano Magazines. He has guest-conducted groups including I Fagiolini, Tenebrae, the English Chamber Orchestra, Southbank Sinfonia, Monteverdi String Band, British Youth Opera and the Forest Philharmonic. James is a Fellow of the Guildhall School of Music & Drama and Director of Music at Hampstead Parish Church. David Soo has won prizes in international competitions in France (Magin) and Malaysia (ASEAN Chopin), the Australian National Piano Award, as well as unanimously being awarded first Prize in one of Australia’s most prestigious piano competitions, the Melbourne Recital Centre Great Romantics Competition. David was also a national finalist in the 2014 ABC’s Young Performer of the Year Award. Currently studying at the Melbourne Conservatorium of Music with Glenn Riddle, David is heard frequently on both ABC FM, 2MBS FM, 3 MBS FM, 4MBS FM and 5MBS FM radio. He gave a sold-out solo debut recital at the Melbourne Recital Centre, and is a frequent guest concerto soloist, having performed concerti by Bach, Mozart, Chopin, Liszt, Prokofiev, Tchaikovsky, Shostakovich, and Australian composer John Carmichael with various orchestras. Scholarships and awards from the University of Melbourne include the Athenaeum Prize, Madeleine Orr, Mary Elizabeth McComas, John Hellyar and Sir William McKie Piano Scholarships, Rosemary Kenny Prize, Katherine Ellis Memorial Fund, Harold Newry and HA Owens Awards. David has performed in master classes with Steven Osborne, Christopher Elton, Paul Badura-Skoda and Craig Sheppard. In September, David will commence a Master of Music at the Guildhall School of Music and Drama with Professor Joan Havill. David is a participant on Concordia's Memory Lane Training Programme 2015/16, in partnership with Chelsea & Westminster Hospital and the Royal College of Music. Ljubica Stojanovic is a 25 year old pianist from Serbia. Described as a leading pianist from the country, Ljubica started to play the piano at the age of 6 and soon after she was giving her first solo recitals. Ljubica continued her studies at the 'University of Music Art' in Belgrade, where she studied with Professor Aleksandar Sandorov. Currently, Ljubica studies piano accompaniment at the Guildhall School of Music and Drama in London with Professor Caroline Palmer. Ljubica was the 1st prize-winner of over 20 national and international competitions including: "Windsor International Piano Competition 2015" in Windsor, "Grand Prix" in Geneva, National competition of Repulic of Serbia, Competition of Young Yugoslavian pianists, and many others. She also won 2nd prize at the ‘5th Memorial Isidor Bajic” in Novi Sad in Serbia. Ljubica has played in over 400 concerts, all over Serbia, Switzerland, Slovenia, Germany, Austria, England, among others, in prestigious concert halls such as Mozarteum University Hall in Salzburg, Philharmonia Hall in Ljubljana, Slovenia, Thonex Hall in Geneva, Kolarac Hall. Ljubica collaborated with the ‘Witold Lutoslawski’ Philharmonia from Wroclav, with the Serbian Radio Television Orchestra. Ljubica has attended many masterclasses, receiving tuition from Arie Vardi, Irina Aleksejcuk, Jurij Kot, Avedis Kouyoumdjian. Ljubica gave her first performance for Concordia in January 2016. Caroline Tyler, award-winning concert pianist, has performed as soloist and ensemble member at many prestigious venues including the Barbican Hall in London, the Barber Institute of Fine Arts in Birmingham and the Martinu Concert Hall in Prague. Highlights include concerts and masterclasses in Istanbul at Robert College Theatre and the chapel of the Dutch Embassy, and a performance for the Lord Mayor of London and guests at Painters’ Hall, London. In 2001 Caroline won a place at The Guildhall School Of Music And Drama to study with Senior Professor of Piano, Joan Havill. She graduated with first-class honours in 2005, adding a postgraduate Masters degree with Distinction in 2007. Caroline has given many performances nationally and internationally, to critical acclaim. Future plans include recitals, masterclasses and piano teaching in Istanbul and solo engagements in central London, Sheffield and Somerset, as well as further composition and arrangement work. Samantha Ward has performed extensively around the UK and in Europe and has appeared on British television and radio several times. In 2007, she gave her solo debut recital at London's Wigmore Hall and has given solo recitals in such venues as St Martin in the Fields, St John's Smith Square, St David's Hall Cardiff and Manchester's Bridgewater Hall, as well as in concert halls around Europe. In February 2013, Samantha was invited to become a Bluthner Artist and she is a Freeman of the Worshipful Company of Musicians. She has won first prize in a number of competitions such as the Making Music Philip and Dorothy Green Award for Young Concert Artists, the Beethoven Society of Europe's Intercollegiate Piano Competition, The Hastings International Concerto Competition as well as the Sir Philip Ledger Prize for the best Mozart or Beethoven Concerto and the Worshipful Company of Musicians' Maisie Lewis Young Concert Artists Fund Award. In 2010, Samantha was shortlisted for a 'Woman of the Future' Award in Arts and Culture in association with Shell and as a result, she was invited to give an interview for Stylist Magazine in March 2011. Samantha frequently records both solo and duet albums for Schott Music Publishers and recent engagements include recital and concerto engagements around the UK, as well as the first public performance since the 19th Century of the Dora Bright Piano Concerto in A minor with the Morley Chamber Orchestra under Charles Peebles. In August 2013 Samantha launched and inaugurated Piano Week, her new international festival and summer school for pianists held at Bangor University, North Wales. The festival, which was supported by Concordia in 2015, consists of numerous recitals and master classes given by internationally acclaimed artists as well as concerts given by the festival participants. Samantha gave a recital for Concordia's series at St Martin-in-the-Fields in December 2015. Chiyan Wong has been astonishing audiences with not just the sincerity and sheer authority of his playing, but is also fêted by critics and colleagues as a pianist who is, in the words of British pianist Stephen Hough, "exciting, original and thoughtful". 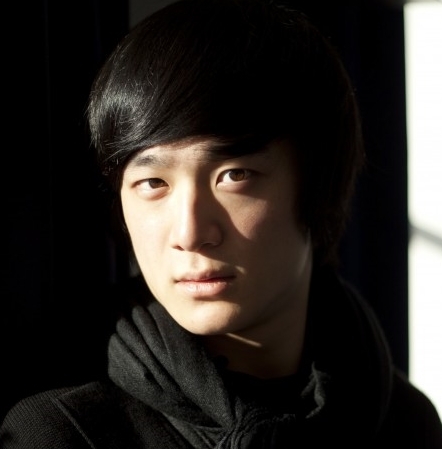 Recognised by the Dutch newspaper Trouw as “possessing remarkable sophistication in his piano playing” at the age of 15 and by Korean pianist Kun-Woo Paik for having a rare “sincerity as a person which he applies to his music-making”, Wong made his Asian debut at the Hong Kong Arts Festival in March 2010. In the same year he made his debut in France at the International Music Festival in Dinard at the invitation of Paik. He was invited twice to perform for the Liszt Society of London in 2010 and 2011. In the 2010-2011 season, he gave a 15-concert recital tour in Germany. He was invited to return to Hong Kong in December 2011 to give a Liszt recital sponsored by the Radio Television Hong Kong Corporation as part of the city's celebration of the composer's bicentenary, which was broadcast live. In 2012, Wong was invited to inaugurate a new music festival in Germany with a recital and made his Italian debut in Sacile in June. Later that month he scored an enormous success in his Singapore debut at the 19th Singapore International Piano Festival, giving a recital which earned rave reviews. In December, he made his prestigious, widely-praised debut at the Wigmore Hall in London with an all-Liszt programme which amply demonstrated his unique, profoundly searching and committed musicianship. For the 2013-2014 season, Chiyan was re-invited by the Weltklassik series to perform 17 recitals across various cities in Germany. Chiyan gave his debut recital for Concordia at St James's Church Piccadilly in July 2015. Annie Yim, Chinese-Canadian pianist born in Hong Kong, has broadcast live on CBC Radio 2 in Canada, BBC Radio 3 and Portuguese Radio Antena 2. Annie has performed throughout the UK, Europe and Canada in major international venues including Chan Centre for the Performing Arts (Vancouver), St. Antonio’s Church (Rome), St. Martin-in-the Fields (London) and at LSO St. Luke’s with the City University Symphony Orchestra. Her festival appearances include Chelsea Schubert Festival, Dean and Chadlington Summer Music Festival, Gaia International Music Festival, and Geneva Music Festival. Annie performed at the 2011 Trasimeno Music Festival Young Artists Concert in Italy, by invitation of pianist Angela Hewitt. Annie has won many awards including the CBC Debut Young Concert Artists Series (Canada), Friends of Chamber Music Competition (Canada), and Concordia Foundation’s Serena Nevill Award (UK). Annie is founder of the Minerva Piano Trio, who were finalists in the 2013 Royal Over-Seas League Annual Music Competition. Currently a doctoral candidate in performance and musicology, Annie studies with Joan Havill at the Guildhall School of Music and Christopher Wiley at the City University. Her deep interest in musical research has led her to write a thesis on Schumann’s musical-aesthetical influence on the original version of Brahms’s Piano Trio in B major Op. 8. She is grateful for the generous support from the Concordia Foundation, British Columbia Arts Council, City University Overseas Research Award and Vancouver Foundation. Theresa Yu is a 19-year-old Australian pianist currently undertaking undergraduate studies at the Royal College of Music, as an RCM Scholar. She is supported by a Somers-Mountfort Scholarship, as well as the Zetland Foundation and the Youth Music Foundation of Australia, and is studying under Professor Andrew Ball. Theresa received her AMusA in 2006 and her LMusA in 2010 from the Australian Music Examinations Board, and has been the recipient of many prizes. She was a finalist in the 2012 Fine Music 102.5 Young Performer’s Award, won the Zonta Young Performer’s Encouragement Award, and played in the Theme and Variations Emerging Artists Concert Series. While on a full music scholarship at Pymble Ladies' College, Theresa performed the first movement of Bach's Brandenburg Concerto No. 5 on the harpsichord with the PLC Chamber Strings, under the mentorship of Paul Dyer, Artistic Director of the Australian Brandenburg Orchestra. She has performed at venues such as the Southbank Centre, Sydney Opera House, and Princess Alexandra Hall. Theresa has performed as part of Concordia's Healing Power of Music concert series, following her involvement in the Memory Lane programme 2014/15 at Chelsea & Westminster Hospital.